Sydney has so much going for it in terms of attractive sights, organised tours and entertainment options for Visitors, it is often hard to get outside the tourist haunts and see the real city. 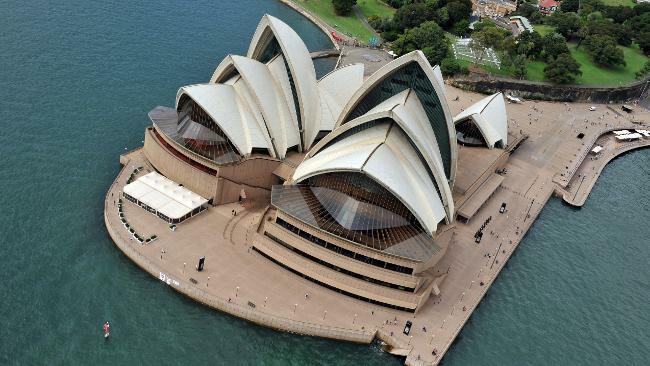 To help you in your quest, Sydney City Webcam is happy to provide you with our suggestion of an Alternate Top Ten things to do in Sydney for visitors. Some will require you to be a bit adventurous in nature or happy to go outside the normally beaten tourist trail, but you will be happy you did. 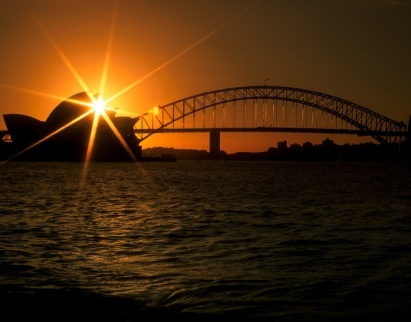 Anyone completing our Top 10 list will see more of the character, adventure and moods of Sydney than the normal tourist sights can ever portray. 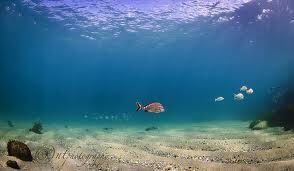 Some of the best natural wonders to see around Sydney are missed by 99.75% of visitors which is a great pity. 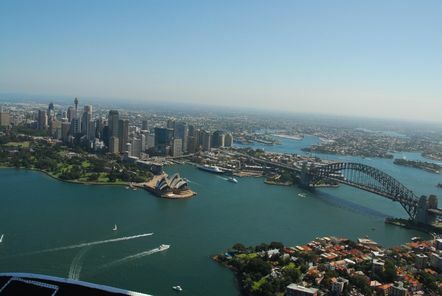 Book a charter flight in a light aircraft and unlock the holy grail of Sydney views and enjoy an unexpected great lunch as well. It won't be cheap at around $250-$400 per passenger depending on number attending and aircraft hired, but it is the best thing you will ever do. 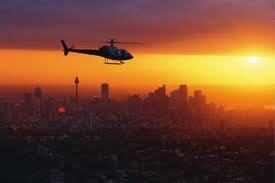 Starting and ending at Bankstown General Aviation Airport, 30 minutes west of Sydney CBD by train. Suggested time of arrival about 11AM. 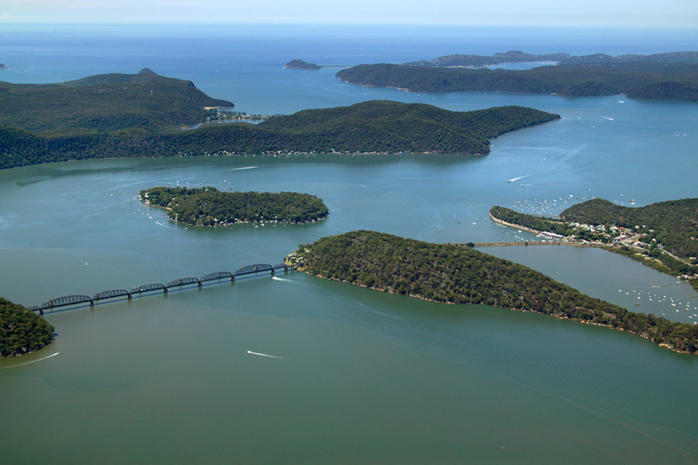 After departure, fly north up the light aircraft lane to Patonga on the beautiful Hawkesbury River. Imagine a waterway as large as Sydney Harbour but with one tenth the population density, being surrounded predominantly by National Park. 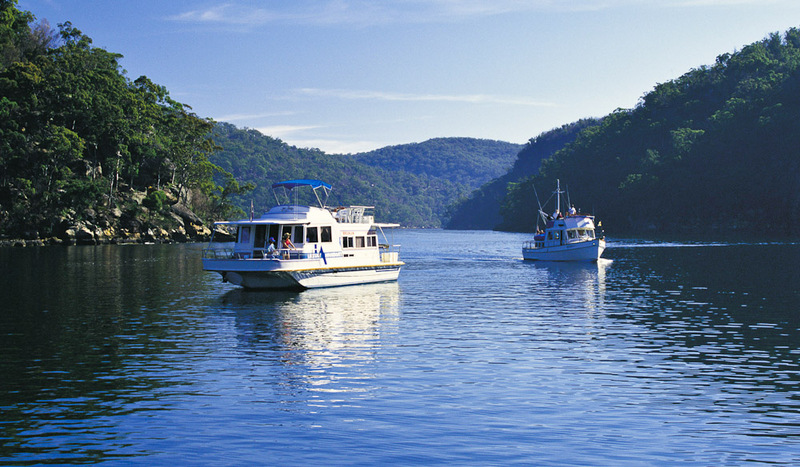 Fly east to the amazing yachting paradise of Pittwater near the long pearly sands of Palm Beach, home to many of Sydney's rich and famous. From here, turn south taking in all the beaches of Sydney at 500ft altitude to famous Manly Beach and North Head at the ocean entry to Sydney harbour. 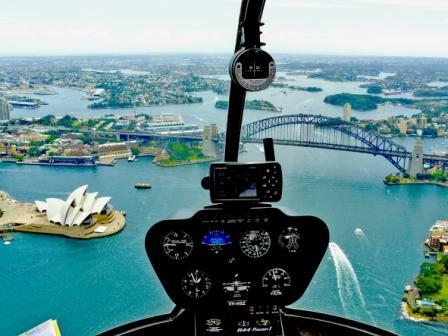 Fly direct from Manly up the main harbour towards the Sydney CBD for the most picture perfect view of your life. You'll burn 200MB of memory in 5 minutes with the views you will be capturing here. Orbit above the Sydney Opera House, Sydney Harbour Bridge and other inner harbour icons like Fort Denison and Taronga Zoo. Leaving the harbour back towards the East, overflying the high life areas of Point Piper and the richly mansioned Eastern Suburbs then take in South Head and fly south heading along the amazing sandstone cliffs of Eastern Sydney and being at almost cliff edge height, you can wave at the joggers out the window!!. Next amazing photo opportunity is Bondi Beach and from the exact angle that you see in all the tourist shots, looking into the beach from the ocean. 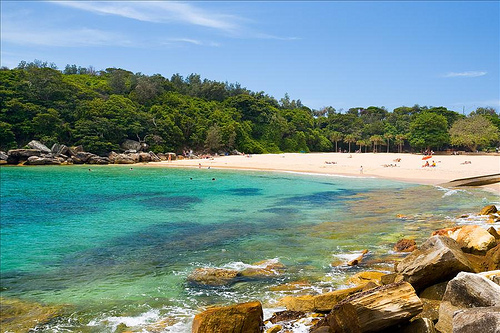 Southbounds past the beaches, sandstone crags and bays of southern Sydney, you skirt around Sydney International Airport and may have an A380 taking off right over the top of you. Flying south you pass Bundeena with one of the most beautiful and under-utilised inlet beaches (accessible by ferry from Maroubra after train from CBD - see below for more details) with small waves great for small children and a great days outing from central Sydney. 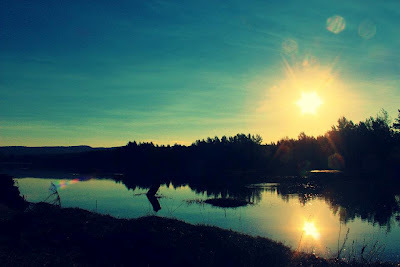 You might think the best is over, but you would be sorely mistaken. Now the sights just become more natural and lunch is coming up. 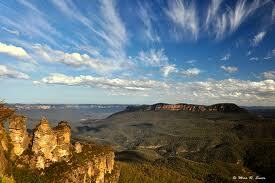 Fly southbound past the awe inspiring rocky sandstone cliffs of the Royal National park south of Sydney. 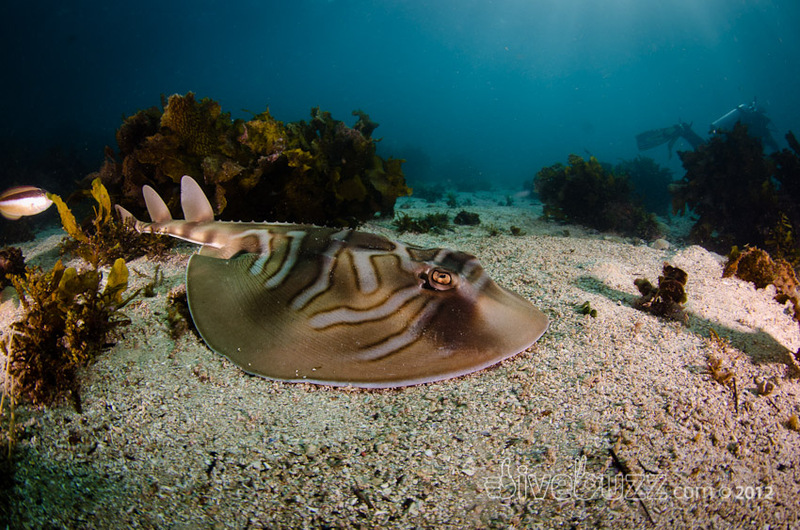 You are flying along below the cliff tops at times and the water is becoming more and more turquoise as you head past unspoilt coastal bushland and tiny beached inlets on the park. A nature photographer's paradise, the Royal National park is a treasure missed by most Sydney visitors. Spend a day here with a hire car and you won't regret it, unless you don't bring sun lotion for the empty perfect beaches. In a while you will be landing for lunch at Wollongong, the industrial city south of Sydney with the important BHP steel mills and related companies. Wollongong airport has a wonderful restaurant, the Aviator's Lounge, built alongside the airport arrival departure lounge and catering to visitors and locals alike. The cuisine is good honest Australian and international fare at a reasonable price. Surely the fun is over? Can't be anything more to see, we've seen so much. How wrong you are. Taking off once again from Wollongong, you fly West up over the steeply rising escarpment (hope you didn't eat too big a lunch or the pilot will need an extra orbit upwards before turning west). 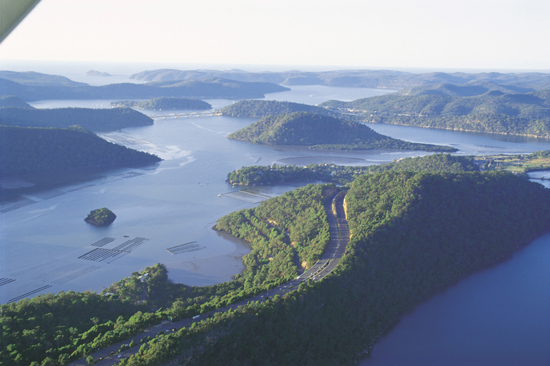 You are now heading to one of the main unseen wonders of Sydney, the majestic World Heritage listed Kanangra Walls Boyd National Park and the immense Burragorang valley, which is also Sydney's main fresh water storage with it's dam at Warragamba. 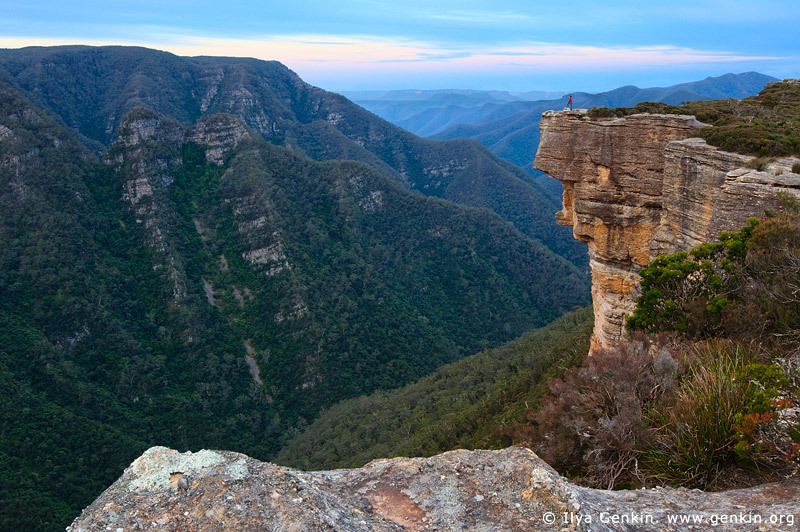 The Kanangra Walls in Kanagra Boyd National Park are very much like a smaller version of the wall of the Grand Canyon in Arizona USA, with majestic sandstone cliff-tops rising 2000 plus feet from the valley floor. An unspoilt paradise seen by very few and inaccessible by road due to water security rules, this valley leads to the tourist mecca of Blue Mountains national park. Fly up the valley toward the scenic railway and orbit overhead the famous landmark of 'the Three Sisters' whilst looking at the hundreds of tourists and its car park packed with coaches below. A short 15 minute flight back to Bankstown Airport and your day of Sydney awakening is over.............but it doesn't have to be. 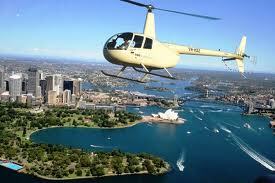 Sling the pilot another couple of hundred dollars and go back into Sydney CBD. By now, if you've planned it right, the sun could be getting close to setting and you will get the most amazing photos of Sydney in twilight, and then the city by night is a gem you'll treasure forever in your memories. Nothing beats once again orbiting the Sydney Opera House, City Skyline and Harbour Bridge when they are lit up at night. 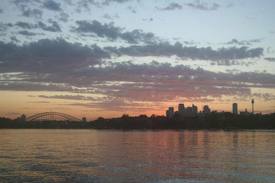 This is in this web site contributor's opinion, the most amazing day you can have as a visitor in Sydney. Sure it's expensive but so are all the 'tourist trail' sights and they just see one or two of these landmarks in a day. 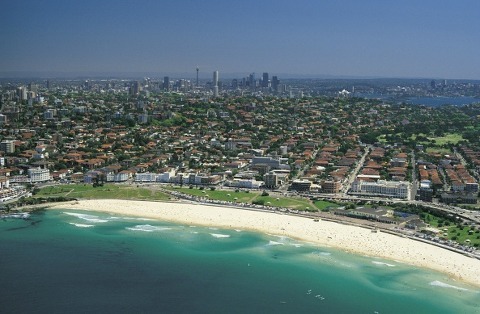 You have seen all of Sydney's best and some many residents of Sydney don't even know exist on their doorstep. This is not an organised tour so it requires some planning and discussion with an aircraft charter company prior. The two companies I would suggest you approach are 'Basair' or 'Sydney Aviators'. If you're a rock star or celebrity visiting Sydney, or just a time limited average joe, you will see more of Sydney in this day than others will get to see in a week or more, and the photos you take will be breathtaking and noteworthy (your Facebook 'Likes' will go through the roof). Believe me, this encompassing 'air tour' is un-paralled in the world and seriously worth the money. 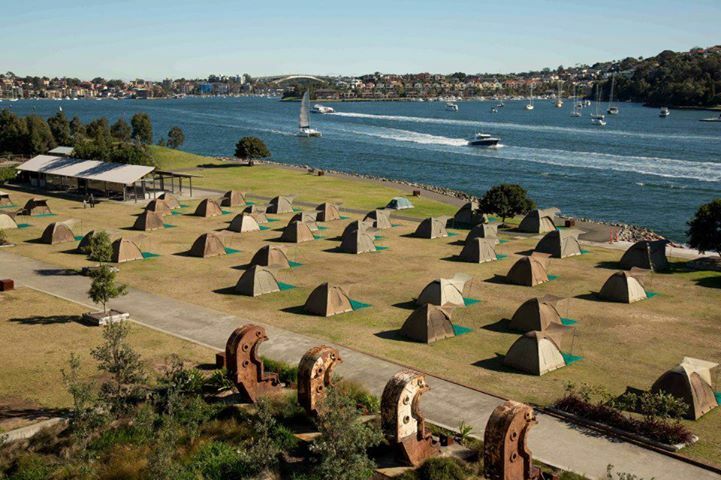 Walk-in walk-out camping with one of the nicest viewing locations of Sydney city skyline and Sydney Harbour Bridge. 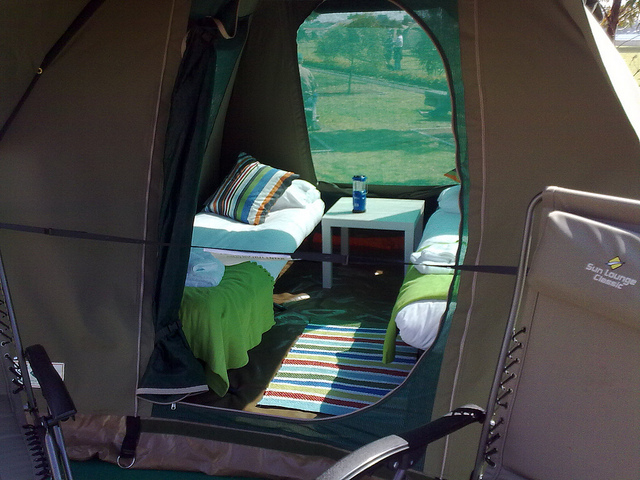 Just take food as all bedding, linen, lighting and seating is provided for you. At only $14.40 per Adult return trip to Manly, this is some of the best low cost fun you can have on a rainy wet squally day in Sydney. 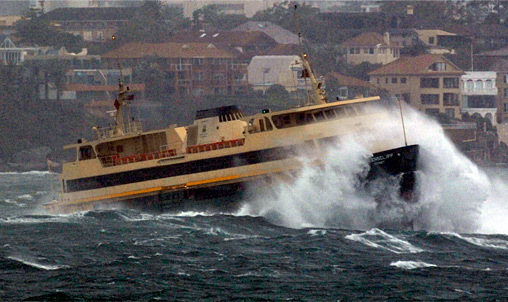 Don't worry if you get seasick, 90% of the trip is on the relatively calm Main Sydney Harbour but for a few exciting minutes as the ferry passes 'The Heads', the entry to Sydney Harbour from the ocean, the swell coming through the gap can yield some whitewater excitement. For maximum enjoyment, buy a cheap poncho and sit near the front outside, but don't blame us if you get 'a little' wet! Lots of rocking, rolling fun expertly handled by the hugely experienced Sydney Ferry captains.